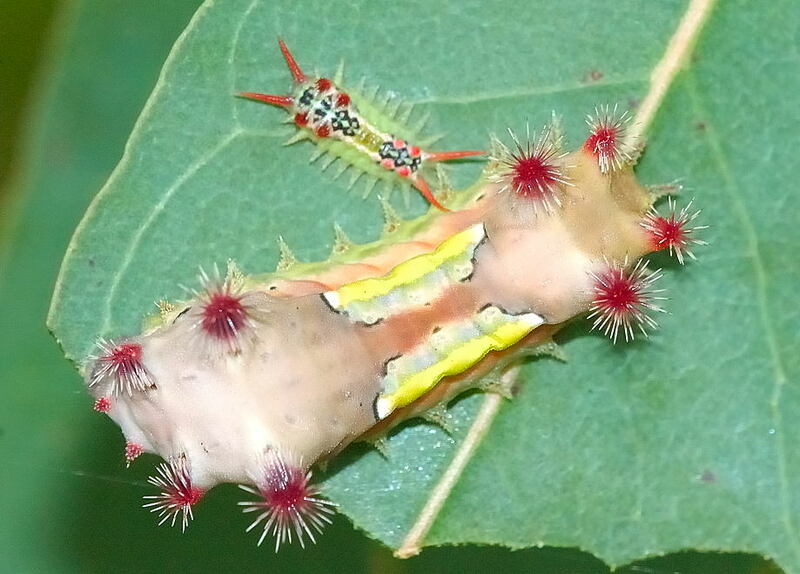 This page contains pictures and information about Cup Moths and Caterpillars in family Limacodidae that we found in the Brisbane area, Queensland, Australia. 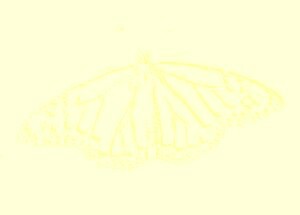 The moths of this family are named 'Cup Moths' because the shape of their pupal cocoon look like a cup. 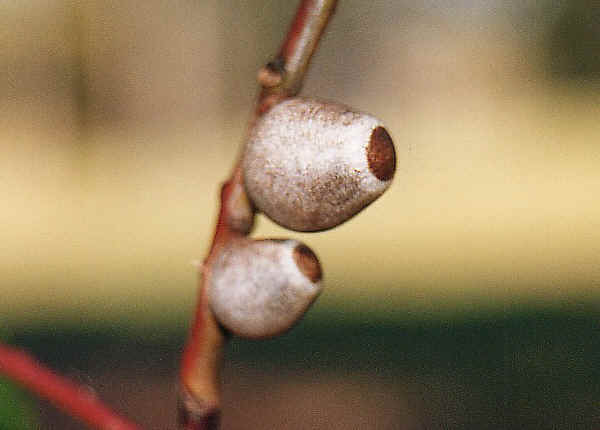 Their cocoons usually have the wooden round shape, attached to a twig of the food plants. The cocoon look like the fruit of the gum tree on the leaves which they feed. The moths have scout and furry bodies with board wings. They are from small to medium size. Caterpillars in this family show their stinging hairs when disturbed. They usually have the bright warning colours. Their sting will give a painful nettle-like sting and burning feeling. They also known as Spitfires. They walk like a slug for they do not have prolegs and all their true legs are reduced. 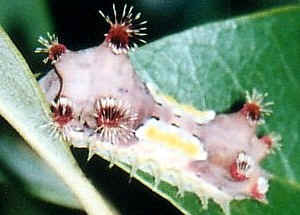 Mottled Cup Moth caterpillars are pale brown in colour, the bright warning colours white, pink and yellow in the middle. 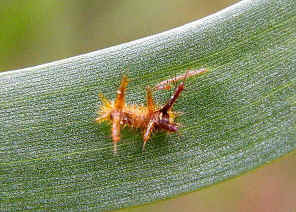 They show their stinging hairs when disturbed. 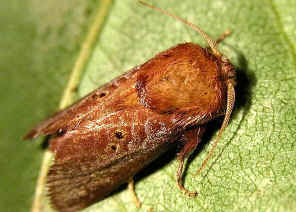 The adult moth is bright brown in colour, with hairy thorax. More information and pictures please click here. 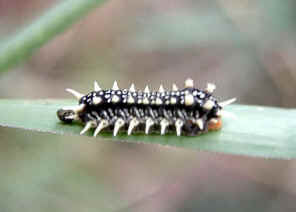 The caterpillar was found on blade grass in Macgregor Bushland during mod summer. Few days later, the caterpillar pupated on the side of the glass jar. 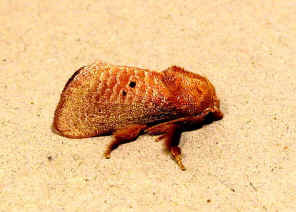 The pupa was brown in colour. The second picture shows the moth came out from the pupa after two weeks. More information and pictures please click here. We found some Four-spotted Cup Moth caterpillars in Alexandra Hill during mid summer. They were feeding openly on young gum tree leaves during the day. We took a few of them home to watch their grow. We also took some branches of gum leaves as their food. More information and pictures are recorded here. 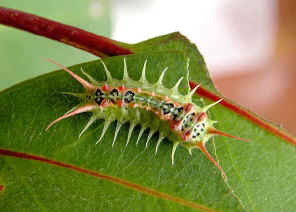 We sometimes find this caterpillar on wattle leaves. 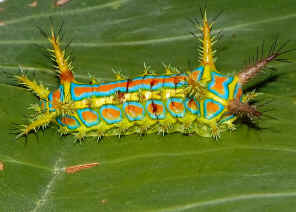 The caterpillar is bright yellow with blue green and orange colours. There are a number of tubercles around its body. More information can be found in this page. 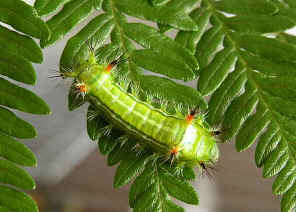 The Fern Cup Moth caterpillars are brightly green in colour, with dark green and white lines along their body. 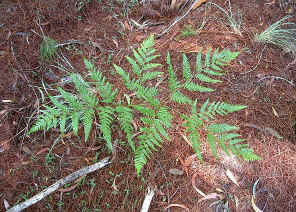 Their body are full of stinging hairy spikes, especially two pair at the front and two pair at the end. 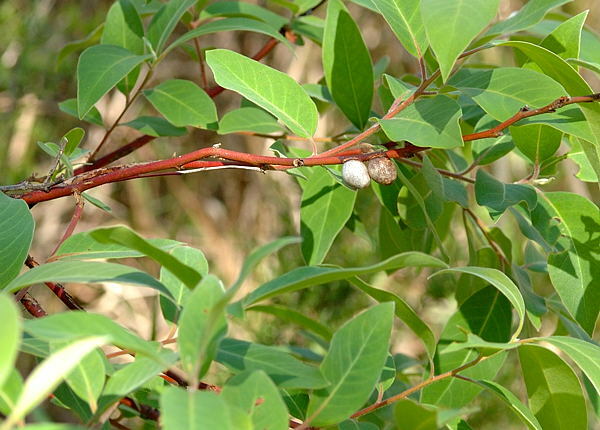 If contacted, the infected area will be pain and itching, accompany with burning feeling. We found this Fern Cup Moth caterpillar in Alexandra Hill along the creek feeding on the young bracken fern Pteridium esculentum during mid summer. More information and pictures please click here. We found this caterpillars in Alexandra Hill bushland. In mid-summer, they are easily seen on Acacia leaves. They move very slowly. 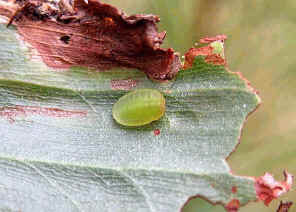 The Caterpillars are green in colour with dome shaped. 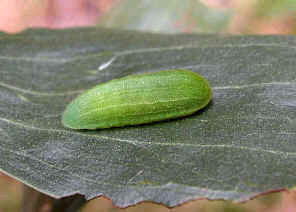 The larger caterpillars have a number of faint pale lines running along its body. 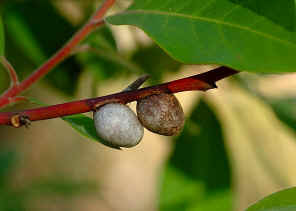 They pupates in between leaves in a hard brown cocoon. 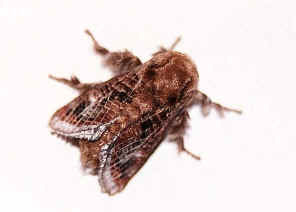 The moth is brown in colour. Please also visit this page for more photos.